Specialist foot care is all about health and prophylactic of your feet. We treat and provide advice for all common foot and foot skin disorders with a special focus on people with diabetic foot problems. 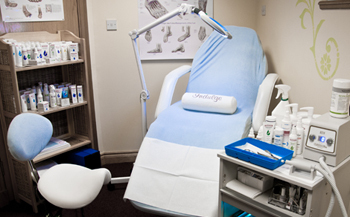 The clinic is furnished in a modern and comfortable manner providing the best quality service. The treatments are provided by a fully insured and qualified Foot Care Specialist. The clinic conforms to the highest level of hygiene by using the highest quality equipment, sterilized instruments and disposal accessories. Our clinic offers custom-made insoles, appliances and orthotics as well as medical approved socks and cosmetic products to pamper your feet. Full Medical Foot Care - This treatment is directed to patients with foot infection, mechanical damage to the toenail plates, diabetics, etc. Classic Foot Care - It is a traditional treatment improving look of the natural nail plate and skin of the healthy feet.